For a game as old as time, it was quite expected that poker would amass a considerable player and fan base. While some remain amateurs and practice a game or two on occasion, there are those that have made a life out of it. Career poker players have definitely drawn much attention throughout the years due to their characteristic way of making a living, but some unavoidably stand out from the rest. Nowadays, professional poker players have online gambling sites like novicasino.com at their disposal, as well as a well-established poker tradition with the World Series of Poker, and other events, as its pillars. The question of who are the best players came with the game, and with today’s rankings and statistics, as well as factoring in some intangibles, numerous lists as the one below have been made with more or less the same iconic figures of the game. 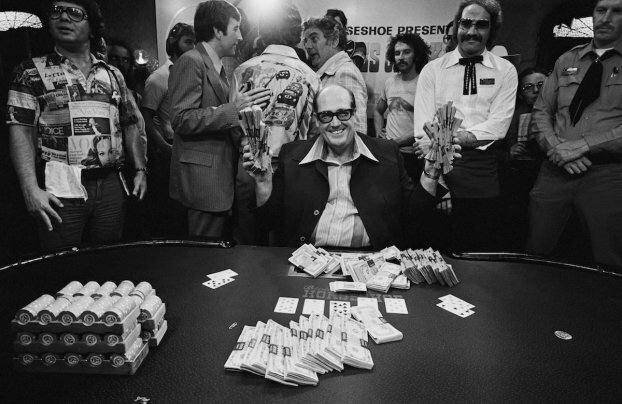 There is no saying how far Stu ‘The Kid’ would have got, had it not been for his bad habits and reckless lifestyle, but during his 45-year long lifespan, he managed to establish himself as a poker legend. While the persona of Stu Ungar is known to represent the older poker era of traditional land-based poker rooms and occasionally shady businesses, he earned his reputation purely using his unique and insightful play. Known as the ‘grandfather of poker’, there is no list without the eternal Doyle Brunson who practically marks the transition from one poker age to another. With over half a century of playing poker professionally, it is no wonder that his book on the thought process during poker has reached massive success. The Canadian poker player Negreanu is practically an inspiration for any hopeful amateur to try and achieve their dream. After an unsuccessful attempt at the age of 22 to move to Las Vegas and take up poker professionally, he returned and rehabilitated enough to give it another shot. Through persistence and great poker skills, Daniel Negreanu not only achieved his goal, but surpassed his colleagues along the way, ranking first at the All Time Money list – an expected feat considering he once banked over $8m in one game. Phil Ivey started off his career for the love of the game, but soon turned to the thrill of it all as he sought after challenges and worthy opponents. With an extensive experience and dedicated practice since childhood years, Ivey 10-piece WSOP bracelet collection is none the more surprising than that of Phil Hellmuth or the likes. The archetypal college drop-out story with a success twist is the thing poker players’ dreams are made off, and Chip Reese has been living it. Namely, by postponing his Stanford education for an extended vacation in Las Vegas, Reese started off his Seven Card Stud ultimately perfected career. While he did retire from professional poker to become a Bellagio cardroom manager, Reese’s ability to keep his chill posture remains unprecedented.